Figure Skating Ice Skating Camps - School of A Ryabinin. Follow us, support us - this section will help you with this! There are hundreds of photos, full video content. In our social networks, many photos are duplicated, where you can leave your comments, write your wishes, share and like them. Photos and videos from the competitions, training of children, interviews and feedback about the school, here you will find all the necessary media information about the activities of the International figure skating school. Join us and be always at the heart of it all! International Figure Skating Summer Camps, Ice Skating camps in Latvia. Photos and video. Training sessions on ice, physical training for skaters, special physical training, choreography, training on the vestibular trainer Alexei Mishin - ProSpin (rotator, turntable, spinner, twist). Small groups of skaters. A group of skaters for training 2 jumps 7-8 people and a group of skaters for training triple jumps 7-8 people. The course of lessons on the vestibular simulator promotes faster learning of jumps and is very popular among skaters. International skating camps all year, during school holidays and we invite everyone to participate in the upcoming camps of figure skating. 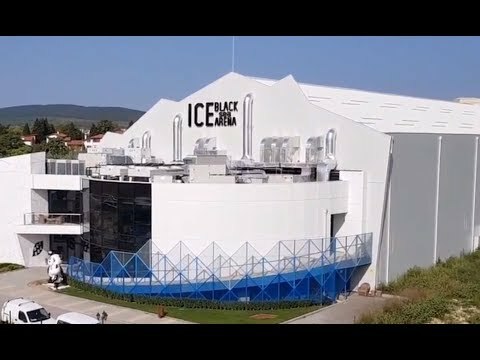 International figure skating camps, ice skating camps in Moscow, Russia. Photos and video. Training sessions on ice, physical training for skaters, special physical training, choreography, training on the vestibular trainer Alexei Mishin - ProSpin (rotator, turntable, spinner, twist). Small groups of skaters. A group of skaters for training 2 jumps 7-8 people and a group of skaters for training triple jumps 7-8 people. The course of lessons on the vestibular simulator promotes faster learning of jumps and is very popular among skaters. International skating camps all year, during school holidays and we invite everyone to participate in the upcoming camps of figure skating. Spring - International Figure Skating Camps, Ice Skating Camps during the spring holidays. Skater's tuition camp in Tukums, Latvia, 26.03-14.04, 2018. In the training sessions, skaters from Germany, Switzerland, Ukraine and other countries took part. The program of the camp included: ice training, physical training and choreography. In free time from the camp, we conducted additional group and individual training on the ice, engaged in productions of the programs and helped the children learn to jump with the help of a bench. Here you can see videos and photos from the spring figure skating camps in Latvia. The International Figure Skating School conducts figure skating camps all year round and we invite everyone to participate in the upcoming training sessions. Join now! International Figure Skating Winter Camps, Ice Skating Camps in Latvia. Photos and video. Training sessions on ice, physical training for skaters, special physical training, choreography, training on the vestibular trainer Alexei Mishin - ProSpin (rotator, turntable, spinner, twist). Small groups of skaters. A group of skaters for training 2 jumps 7-8 people and a group of skaters for training triple jumps 7-8 people. The course of lessons on the vestibular simulator promotes faster learning of jumps and is very popular among skaters. International skating camps all year, during school holidays and we invite everyone to participate in the upcoming camps of figure skating. International Figure Skating Camp for skaters of all ages in Dmitrov, Russia. Ice training, physical and special physical training, stretching, training on the spinner. Small groups of skaters. Training 2 and 3 jumps. A group of skaters for training double jumps from 7-8 people and a group of skaters for training triple jumps from 6-7 people. Provided good conditions for the provision of fees. To all skaters we wish successes, easy starts and we invite to take part in the figure skating camp. International figure skating camps in Ozolnieki, Latvia. Photos and video. Training sessions on ice, physical training for skaters, special physical training, choreography, training on the vestibular trainer Alexei Mishin - ProSpin (rotator, turntable, spinner, twist). Small groups of skaters. A group of skaters for training 2 jumps 7-8 people and a group of skaters for training triple jumps 7-8 people. The course of lessons on the vestibular simulator promotes faster learning of jumps and is very popular among skaters. International skating camps all year, during school holidays and we invite everyone to participate in the upcoming camps of figure skating. International figure skating camps during the spring holidays. Skater's tuition camp in Tukums, Latvia, April 10-22, 2017. In the training sessions, skaters from Germany, Switzerland, Ukraine and other countries took part. The program of the camp included: classes on ice, physical training and choreography. In free time from the camp, we conducted additional group and individual training on the ice, engaged in productions of the programs and helped the children learn to jump with the help of a bench. Here you can see videos and photos from the spring figure skating camp in Tukums. The International Figure Skating School conducts figure skating camps all year round and we invite everyone to participate in the upcoming training sessions. Join now!